What is Vernal (Spring) Equinox? The Vernal (Spring) Equinox in the Northern Hemisphere is the Autumnal (Fall) Equinox in the Southern Hemisphere and vice versa. It marks the moment when the Sun crosses the celestial equator the imaginary line in the sky above the Earth’s equator – from south to north. Vernal Equinox takes place on March 20 meaning the start of spring season is just days away. During the Vernal Equinox the amount of day and night is nearly the same. 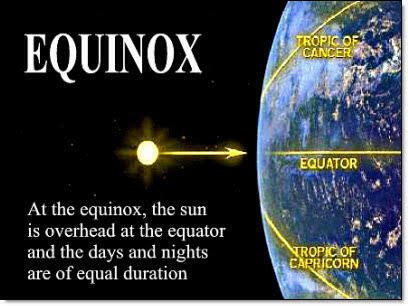 The word “Vernal” means “of relating to spring” in Latin and the word “Equinox” means “equal night” in Latin. Vernal Equinox in the Northern Hemisphere, has been an important cultural event because it marks the time of transition and new beginnings.